Jayagurudatta greatest pranamams to appaji. Jaya Guru Datta. 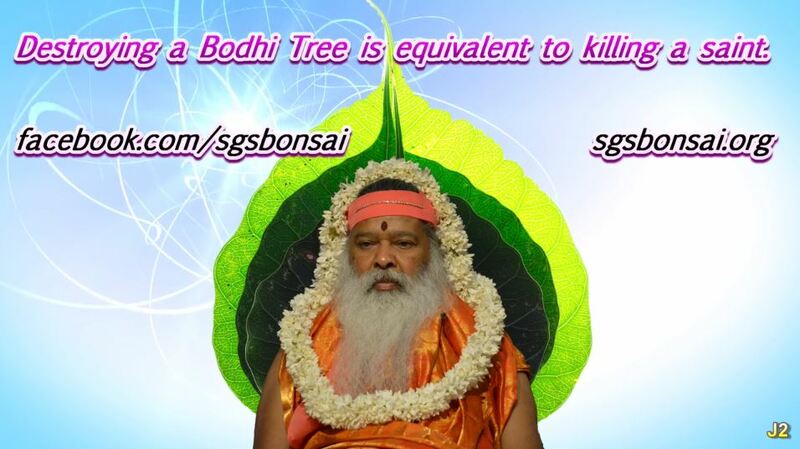 A Bodhi tree is a life-giver and a doctor. Its preservation is vital and its spreading in Bonsai form can revitalize the einvironment in large cities. And Sri Swamiji, not without reason, indirectly likens this tree with the also motionless himalayan Yogis who by their mere presence and BEING stabilize all life on our planet. Sri Guru Datta.